Her name might not be as familiar as those of Gloria Steinem or Henry Cisneros, two luminaries who will visit UCLA this month to honor her. 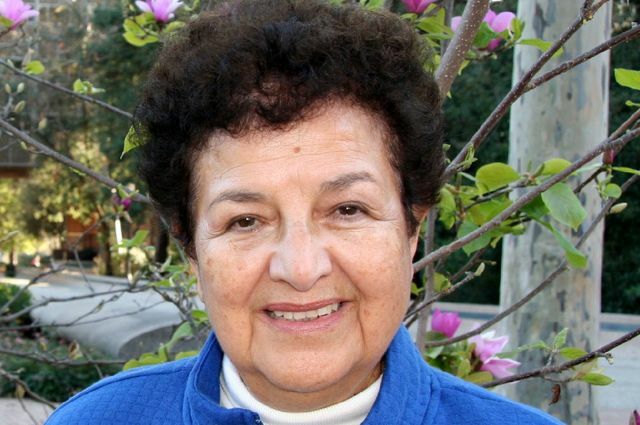 But make no mistake: Lupe Anguiano has impacted the feminist and Chicano rights movements in a way few others have. Anguiano’s colleagues, friends and family will be on hand at UCLA on Monday, March 12, to celebrate the opening of her archive, the first addition to the UCLA Chicano Studies Research Center’s new Mujeres Initiative. The initiative identifies, preserves and makes accessible the history and culture of Chicanas and Latinas in the United States, rescuing materials that are at risk of being lost or destroyed. The event, which coincides with Anguiano’s 78th birthday, will take place at 7:30 p.m. in Korn Hall at the UCLA Anderson School of Management. Anguiano’s archive includes photographs, personal letters and articles highlighting her work as an activist. The collection will trace the path Anguiano embraced to fight for justice and will make her personal history accessible for future generations. “Our center has long recognized the enormous value of Chicanas and Latinas in our society and culture, and we are honored to inaugurate the Mujeres Initiative with the archives of such an outstanding activist and luminary, Lupe Anguiano,”Noriega said. 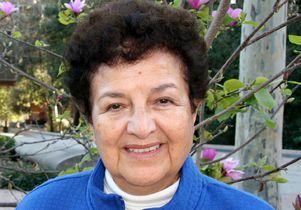 Anguiano is credited with bringing religious support to the women’s rights movement, as well as to environmental and poverty issues nationwide. A former nun, she helped reframe religious debates to include discussions of women’s rights and social justice. Well known for her criticism of and activism on behalf of welfare policies, she founded organizations to assist women in gaining equal training and access to employment. Along with noted feminists Steinem and Bella Abzug, Anguiano was one of the founders of the National Women’s Political Caucus. 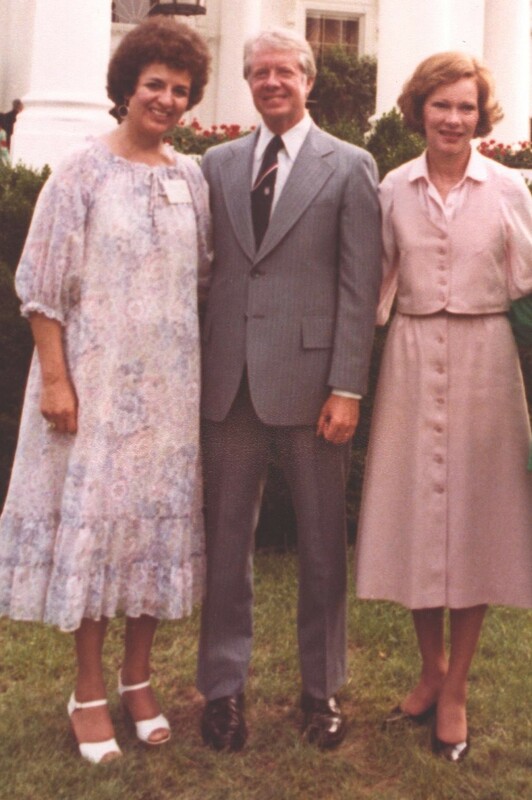 All three were also key activists in the fight for the Equal Rights Amendment. 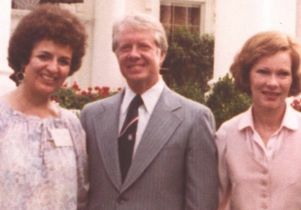 Lupe Anguiano and with President Jimmy Carter and First Lady Rosalind Carter. Anguiano, who lives in Oxnard, Calif., also has focused on issues of bilingual education, resources for single mothers and workers’ rights. She is currently involved in environmental justice organizations such as the California Coastal Protection Network, which opposes drilling, fossil fuel drainage and general pollution on the coasts of California. At the March 12 event, Steinem will deliver the keynote address, which will focus on her work and friendship with Anguiano. Steinem is an internationally known feminist writer, journalist and speaker devoted to contemporary women’s issues related to race, class and sexuality. She co-founded New York magazine in 1968 and Ms. magazine — one of the most widely distributed feminist news sources in the country — and has written several best-selling books. Steinem’s work has been highly influential within the feminist movement. Steinem helped found a number of women’s rights organizations, including the Women’s Action Alliance, an educational center; Voters for Choice; and the Ms. Foundation for Women, a fund that supports grassroots projects to empower women. She also helped establish the national Take Our Daughters to Work Day and is currently working with Smith College, her alma mater, on a project to document the grassroots origins of the women’s movement in the United States. Steinem co-founded and serves on the board of the Women’s Media Center, which strives to ensure that women and their experiences are reflected in the media. Cisneros, a longtime friend and colleague of Anguiano, will deliver the closing remarks. 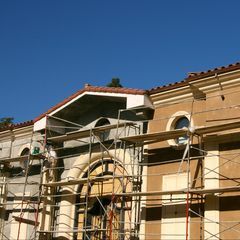 The former U.S. secretary of housing and urban development (1993–97), he is the chairman of City View, a company that works with homebuilders to develop neighborhoods that offer affordable homes in urban areas. In 1981, he was elected mayor of San Antonio, Texas, becoming the first Latino to lead a large American city. Cisneros was president of Univision Communications, the Spanish-language media company, and is past president of the National League of Cities. He currently serves on the board of several organizations, including Latino Public Broadcasting. The Anguiano event is sponsored by the UCLA Chicano Studies Research Center and the UCLA Center for the Study of Women. The Chicano Studies Research Center is known internationally for its innovative research projects, grants and fellowship programs; its extensive archive and library holdings; and its scholarly publications. The center’s archive includes collections from the Mexican Museum, former U.S. ambassador to Mexico Julian Nava, photographer Laura Aguilar and the Comisin Femenil de Los Angeles. The Center for the Study of Women is an organized research unit dedicated to the study of women and gender. Its mission is to reach across disciplines to foster a community of scholars studying women and gender. To further its goal, the center provides research funds for faculty, affiliated scholars and students.